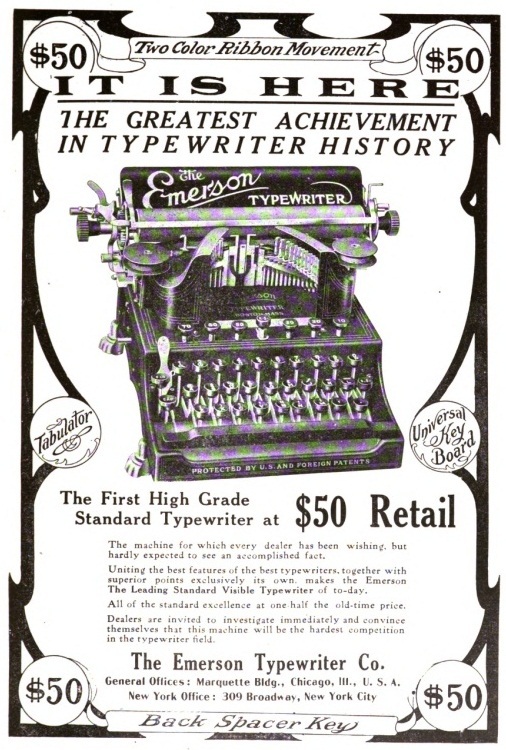 When, after almost two years of delays, the Emerson typewriter was finally launched in 1909, it was promoted as "The Greatest Achievement in Typewriter History". 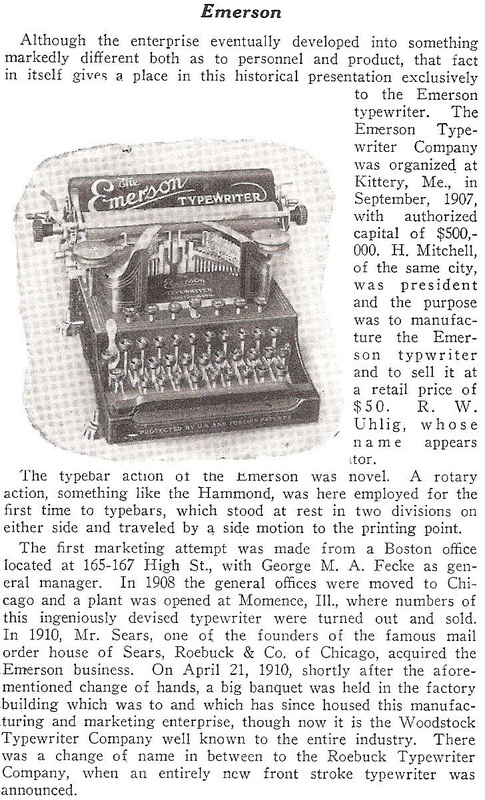 Even long after its inexplicable fall to earth, the Emerson was fondly remembered as having been "ingeniously devised". It certainly had a lot going for it: it was designed by one of the true greats of the industry, Richard William Uhlig; it was half the price of its competitors; and - well, at least from a distance of 104 years - it looked pretty cool. 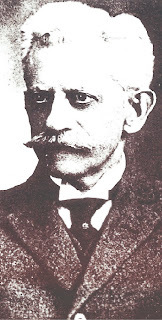 So what went wrong? 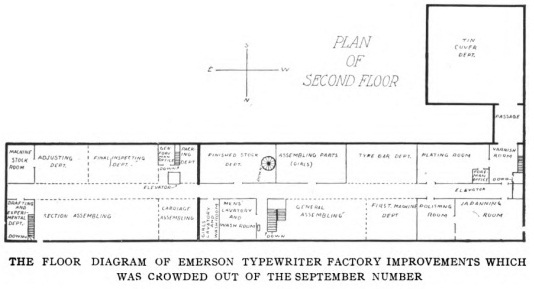 Why did the Emerson barely get off the ground after more that six years of effort? 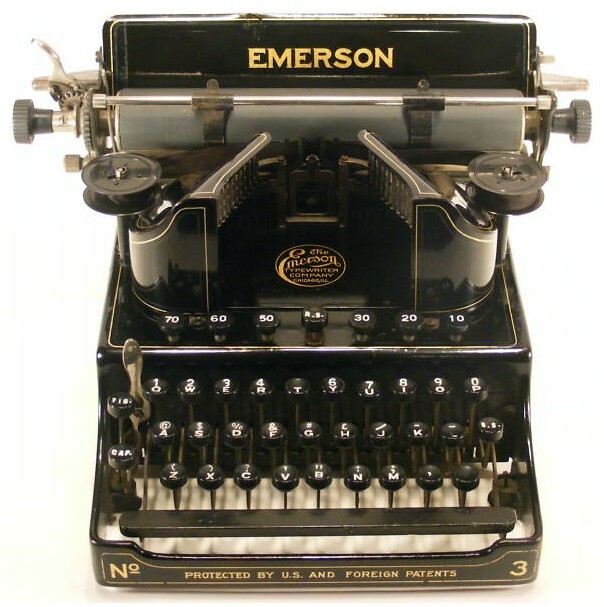 See Richard's story about the Emerson here. 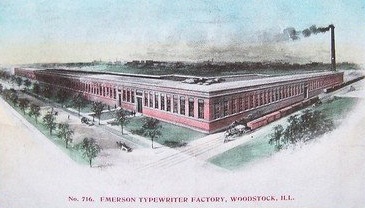 Almost immediately upon the Emerson's release to the market in 1909, production was put on hold while a new, much larger factory was designed. 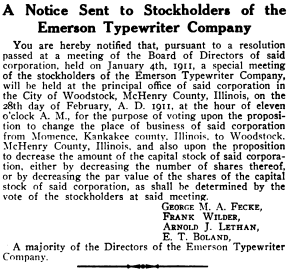 The company's directors had dollar signs blinding their eyes. 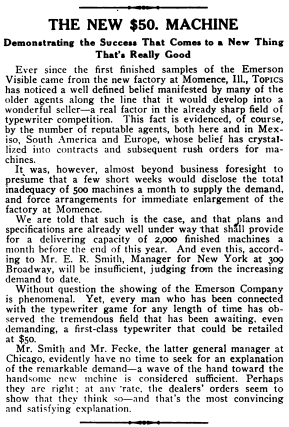 They could sense the enormous appeal of their machine, but realised Momence was never going to be capable of meeting that demand. So where would this new factory be built? 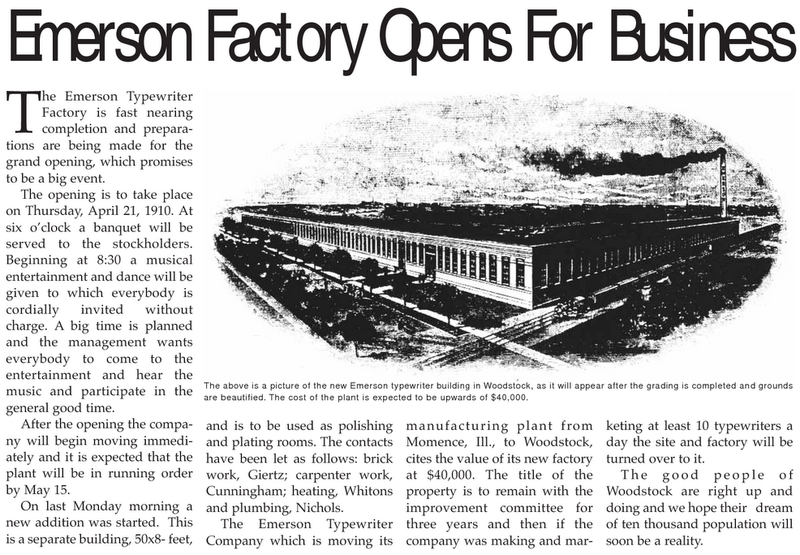 That was the question that virtually stymied the Emerson project before it had even had a chance to get going. Unable to supply typewriters to satisfy the interest that had been drummed in Uhlig's "latest and greatest", the Emerson Typewriter Company began hawking itself around the US - to no fewer that 25 cities! 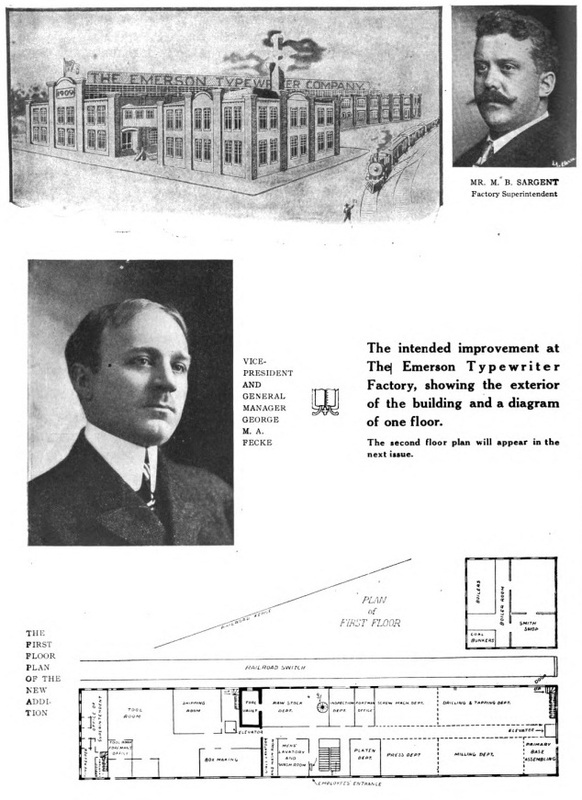 With few if any actual sales to bring in vital early revenue, the company was looking for incentive bonuses from these cities in order to finance the new factory - and was clearly playing one city off another. 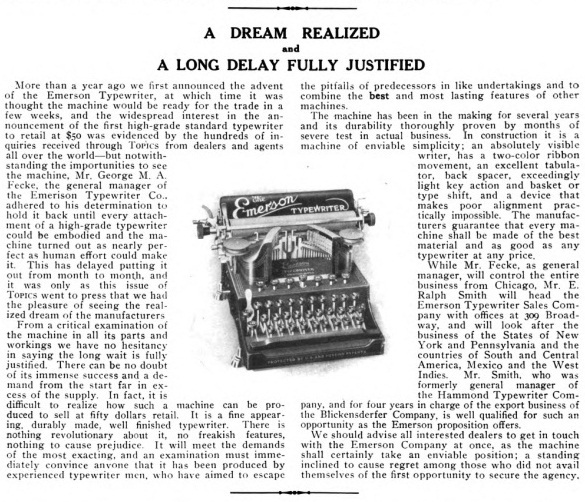 Meanwhile, Uhlig himself gave up any interest he had in the venture and let it be known he gone off to work on a "new surprise" for the typewriter market. 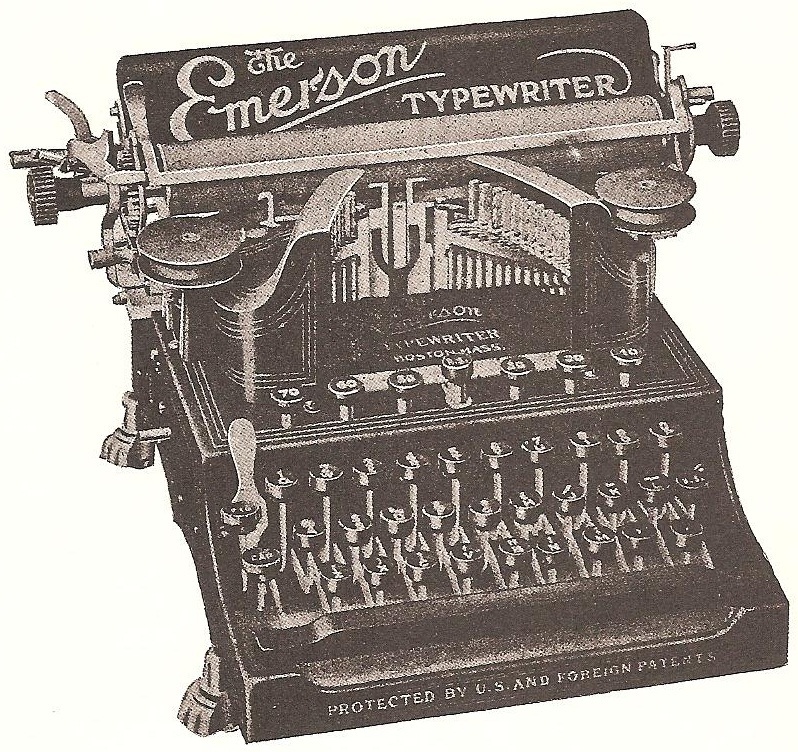 There were two variations of the Emerson, both called a Model 3. 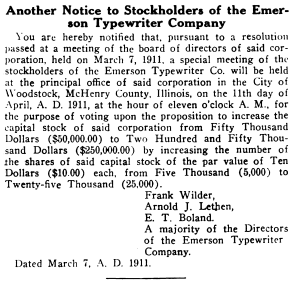 We have no idea how many were actually made in Momence in 1909 - perhaps as few as 2000, if that. 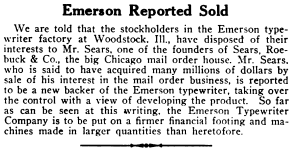 But accepted wisdom is that the vast majority of Emersons were made at Woodstock. 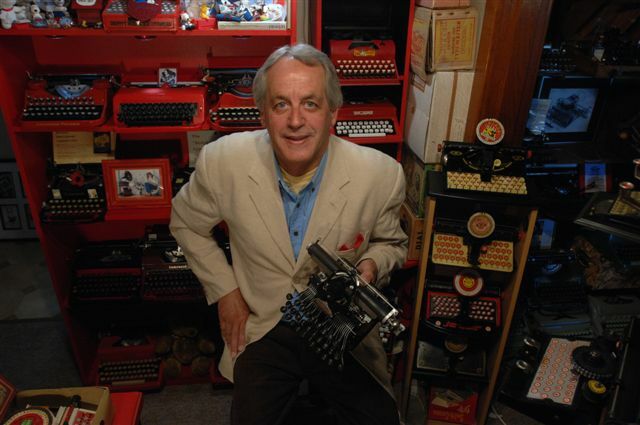 Thanks for setting the record straight about this beautiful but doomed typewriter, based on original sources. 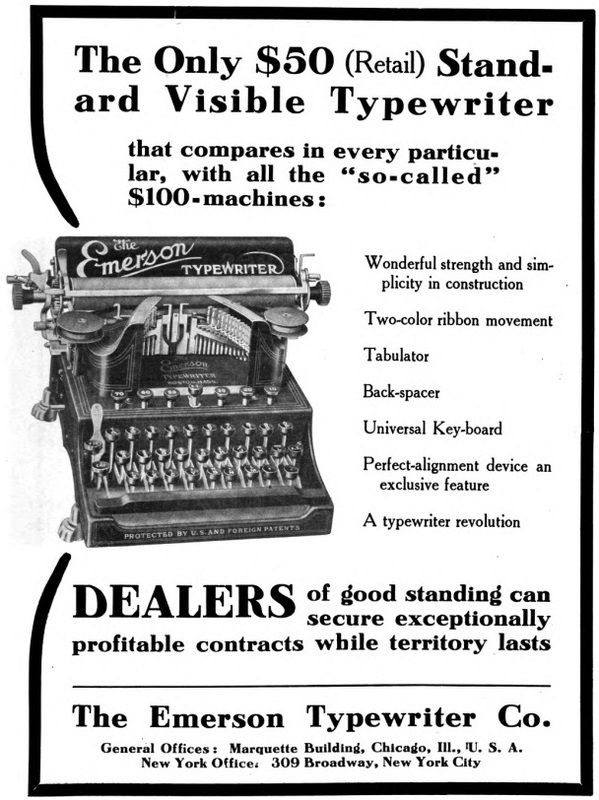 Wonder if any owner could be inveigled into a short movie showing the action of this contraption. I can't quite work it out. 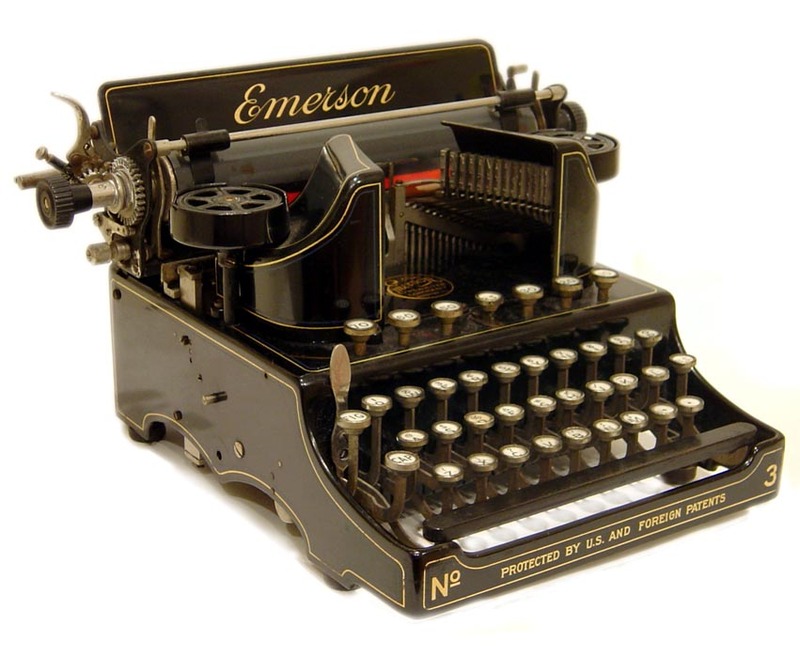 We have one for sale, it's in good good condition. We can be reached at arlenejohn1@email.com.